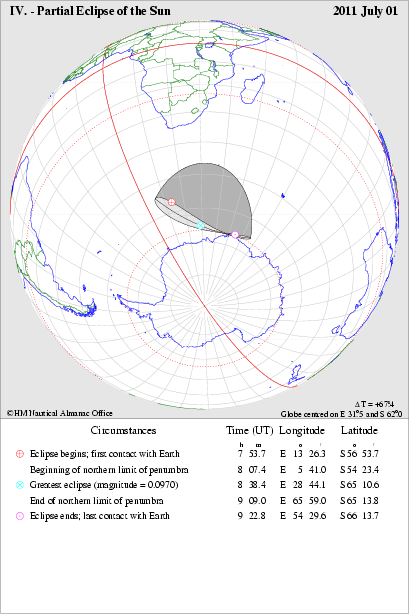 This graphic, provided by Dr. Andrew Sinclair, shows the grey penumbral shadow where the eclipse will be seen as a partial one. The UT time is shown in the upper right-hand corner of the diagram. There are no locations in the gazetteer within the chosen boundaries of the eclipse footprint.